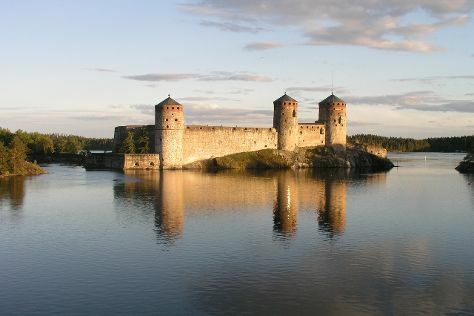 Get some historical perspective at Olavinlinna Castle and Langinkoski Imperial Fishing Lodge Museum. Step out of the city life by going to Repovesi National Park and Linnansaari National Park. Change things up with these side-trips from Lappeenranta: Kerimaki Church (in Kerimaki), The Parikkala Sculpture Park (in Parikkala) and Kotka (Beach Mansikkalahti, Sapokka Water Garden, & more). There's lots more to do: admire the sheer force of Imatra Waterfall, explore the activities along Saimaa Canal, take in the architecture and atmosphere at Church of the Intercession of the Mother of God, and head outdoors with Atreenalin Seikkailupuistot. For maps, reviews, other places to visit, and more tourist information, you can read our Lappeenranta road trip app . In August, daytime highs in Lappeenranta are 23°C, while nighttime lows are 13°C. Finish your sightseeing early on the 8th (Thu) to allow enough time to travel back home.